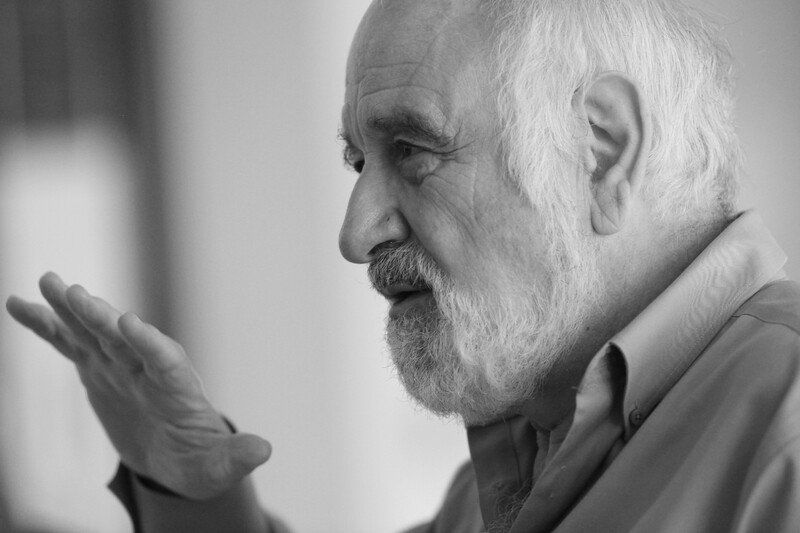 Michael Arbib is Emeritus Professor and University Professor at the University of Southern California’s Department of Computer Science. He is also contributing faculty in Neuroscience and Architecture at the New School of Architecture and Design and an adjunct professor in psychology at the University of California San Diego. The thrust of Arbib’s work is expressed in the title of his first book, “Brains, Machines and Mathematics” (McGraw-Hill, 1964). His primary research focus is on the coordination of perception and action. A new interest is working with architects to better understand the neuroscience of the architectural experience and to develop a new field of neuromorphic architecture coined “brains for buildings.” Arbib is the author or editor of almost 40 books and recently completed a term as Vice President of the Academy of Neuroscience for Architecture (ANFA: www.anfarch.org). Arbib received his Ph.D. in Mathematics from the Massachusetts Institute of Technology. IAM Lab: What is your approach to neuroscience for architecture? MA: I have long been concerned with developing computational models of the brain mechanisms that link perception and action, whether in frogs, rats, monkeys or humans. In my course on “Brain Theory and Artificial Intelligence” at USC, I normally assigned projects on modeling a specific brain system, but in 2003 I had the strange idea of asking my students to take what they knew about the brains of animals interacting with the environment outside them and design a brain for an intelligent room interacting with the environment inside it. They came up with some interesting ideas, but these lay dormant until around 2010 when I became involved with ANFA and resumed work on “neuromorphic architecture,” aka “brains for buildings,” with the emphasis on incorporating knowledge about real brains into the process. By contrast, the main emphasis of ANFA has been on the neuroscience of the experience of architecture and how the neuroscience of different types of people (e.g., children versus Alzheimer’s patients) can affect the architect’s understanding of how the people might experience the building — and that this in turn could improve the design process. This clearly fits in with my expertise in linking perception and action in different species — but now in humans with different needs and abilities. And to this I would add a growing interest in what goes on inside the heads of architects when they design. IAM Lab: Why do buildings need brains? How is this a shift in thinking? How far have we come with “living” or “thinking” buildings? MA: I see neuromorphic architecture as a contributor to the development of smart architecture that parallels the development of Artificial Intelligence (AI). Originally, AI grew out of what Norbert Wiener dubbed “Cybernetics” in 1949 — “the study of control, [computation] and communication in animal and machine.” In the 1960s AI separated from biological cybernetics and focused on symbolic processes matched to the then current capabilities of serial, digital computers. (My slogan has been: “Just because the brain looks like a bowl of porridge doesn’t mean it’s a cereal computer.”) However, from the 1990s onwards, brain modeling and AI have come back together in various ways so that, for example, “deep learning” — a computer-friendly approach inspired by the modeling of learning in the neural networks of brains — is now the magic sauce for Google, Facebook and more. We are already seeing computers entering the home to adjust light and HVAC patterns, but these are very simple applications. It is still an open question whether neuroscience will directly affect the more useful aspects of such systems, or whether it will be indirect, as in the case of deep learning — but I see work in computer vision and robot control as fruitful areas for AI-neuroscience cooperation that will yield benefits for an architecture that embraces not only the building as such but the furniture within it and even an ability of the “body” of a building to reshape itself to shifting demands. A particularly interesting development will be in robotic furniture, where the impact of “neuroethology” — the study of brain mechanisms underlying animal behavior — will be even more direct. IAM Lab: Do you think some amount of neuroscience training should be required of architects? How do you think universities should approach the topic? IAM Lab: Do you think there is momentum behind neuroarchitecture? MA: Yes. In addition to the ANFA conferences (the next will be in 2018), there are several conferences coming up related to architecture, neuroscience and aesthetics. One at UT Austin last December dwelt on psychology and architecture, and there will a “Conscious Cities” meeting in London, a Driehaus Foundation meeting in Chicago and a conference on neuroscience and beauty in Denver in 2018 — and I am sure there are others that have not caught my attention. Further good news is that we are beginning to see to studies that look at people’s aesthetic and other responses and link them to correlates in the brain. The bad news is that in most studies to date, research subjects are looking at and reacting only to photos or graphics. In order to make a real breakthrough, we need to develop portable technologies that enable studies of people experiencing actual buildings. We’re on the cusp of having decent instrumentation. I think this is a place where IAM Lab and ANFA can work together — to stimulate and fund important research. Meanwhile Colin Ellard, a neuroscientist by background, is using smart phones and GPS to collect data about people’s feelings and emotions as they experience various locations in an urban setting. IAM Lab: What are you currently excited about in your work? MA: I have been working with Tricia Ngoon, a cognitive science student from UCSD, on the design of an apartment for a blind person. I will admit that when we started I was ignorant of the significant work architects have done for blind people. How can neuroscience make a new contribution? What happens when you’re blind and you experience a building? How does your hippocampus work? What’s the process of wayfinding? We are developing two perspectives: assessing what current studies in neuroscience and cognitive science tell us about the sensory cues and spatial layouts that would help a blind person navigate and find objects; and a neuromorphic approach to the design of an interactive kitchen. Another intriguing issue, but outside the scope of the current effort, is to better understand the aesthetics of the blind. I am also developing an essay on the design process in architecture. A few years ago, I reviewed a paper that presented a cognitive neuroscience theory of design. For illustration, the author used Jørn Utzon’s design of the Sydney Opera House. The problem was that the account of Utzon’s design process was fictional and misleading. I decided to dig into the actual history of this design, and discovered that one of the young architects who had worked with Utzon, Rick Leplastrier, was a classmate of mine from high school in Sydney whom I had not seen for 50 years. That led to a reunion and many interesting insights to factor into my current attempt to outline a theory of design that passes the test of illuminating at least some aspects of Utzon’s creativity. IAM Lab: What do you see as possibilities for fruitful interaction between ANFA and IAM Lab? MA: If a building is just “useful” it somehow falls short of architecture — just as a building that is all glossy appearance without much utility may devolve into “mere” sculpture. In short, a successful neuroscience for architecture must link not only action and perception but also emotion and aesthetics, finding the right balance between them all. Here we may hope for a vibrant interplay between the work of ANFA and the work in neuroaesthetics at IAM Lab. We made a start in this direction by inviting IAM Lab to host a session on neuroaesthetics at the 2016 edition of ANFA’s biennial international conference, held at the Salk Institute in La Jolla. This should be just the beginning.